It was over two years ago that I wrote about the impressive refurbishment of the Grade II listed seafront home of Pink Floyd rock god Dave Gilmour. The location of the Hove mansion is no secret locally and the quality of the work clear to all. Ewan Stoddart of LCE Architects, the firm that was responsible for both the Jubilee Library and the Open Market, were behind the project with JCL as contractor and Master Builder Neil England as conservation sub-contractor. That same team is now close to completing another historic project for Mr Gilmour on a different building just around the corner. The scheme essentially involves the major remodelling of what began as an artists’ studio into, as one might expect, a musicians’ studio. Until not that long ago, cars were being fixed in the quirky sunken single-storey structure which, like the house, is Grade II listed with views of the sea. The sleek ultra-modern design of the updated studio, now called ‘Medina Studio’, has attracted praise from many quarters but one element – a historic cross – has proved to be a bone of contention for Ewan and his team. 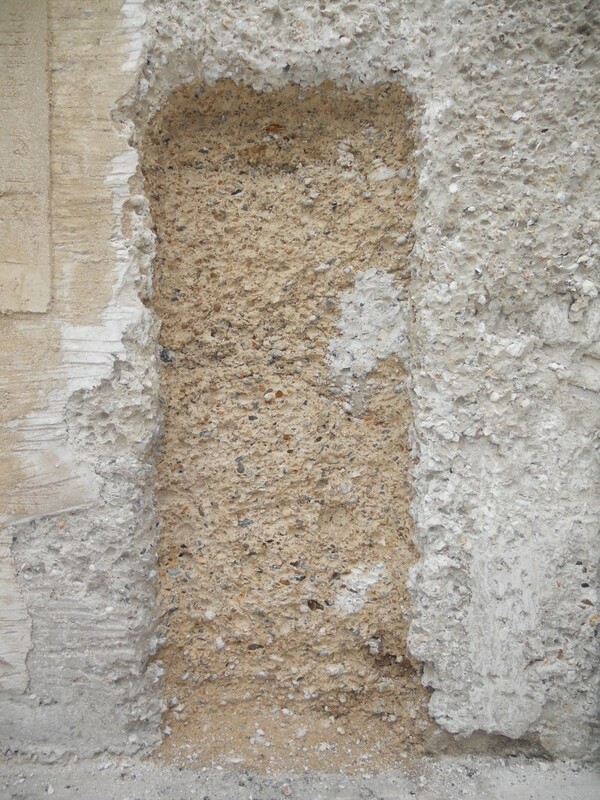 The stone cross in question is set into what appears to be the original back wall of one of the buildings on nearby Victoria Terrace. 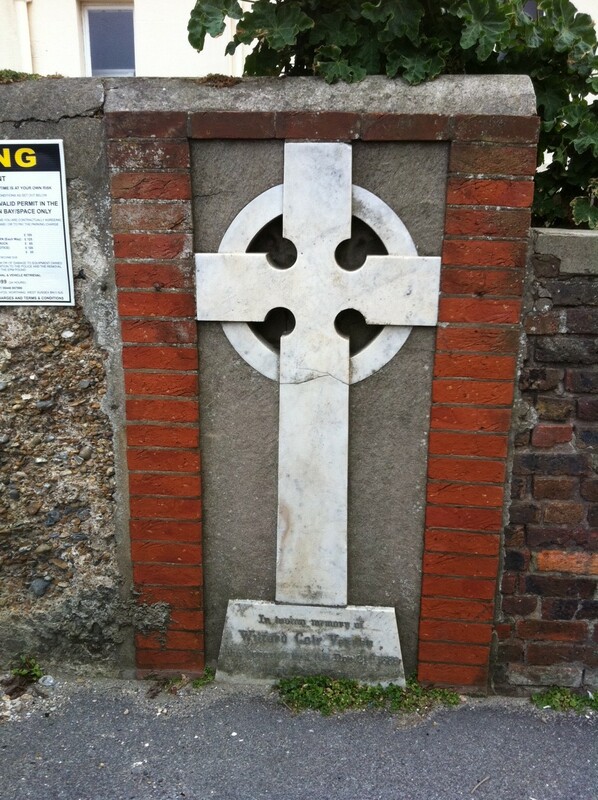 It serves as a memorial to Wilford Cole Verner who died of typhoid fever at the age of 26 on 21st November 1889. As Victoria Terrace was the family home, it seems unlikely that any bones are situated beneath the cross today. People don’t tend to get buried in their own back gardens after all. During the works to the studio, it was found that the cross, in its original location, would be obscured by a small store. The council agreed to it being moved but a huge fuss was made about this seemingly sensible act being carried out. An expensive second planning application ensued which involved copious amounts of historic information being submitted about the history of the cross. Mr Wilford’s grandson, today aged 90, was even contacted to see if he was happy about the move. He had no objections apparently. The council eventually agreed to the cross being moved which will also involve it being refurbished by Tilley’s Stonemasons. By the time that this piece is published, it should be residing in its new home on the west side of the studio.